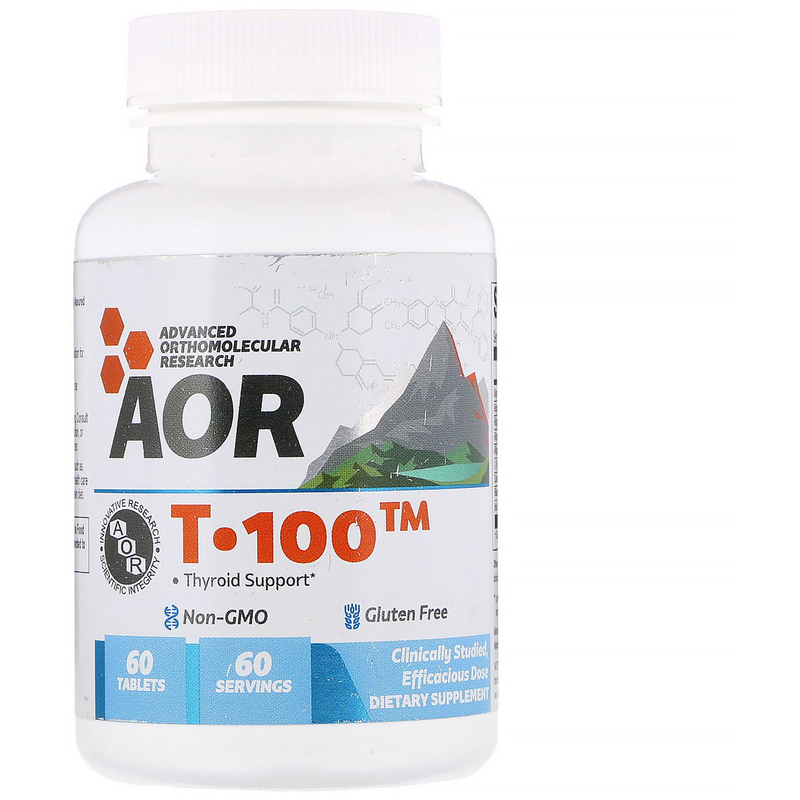 Discussion: T-100 is a glandular support formulation for the healthy support of the thyroid. 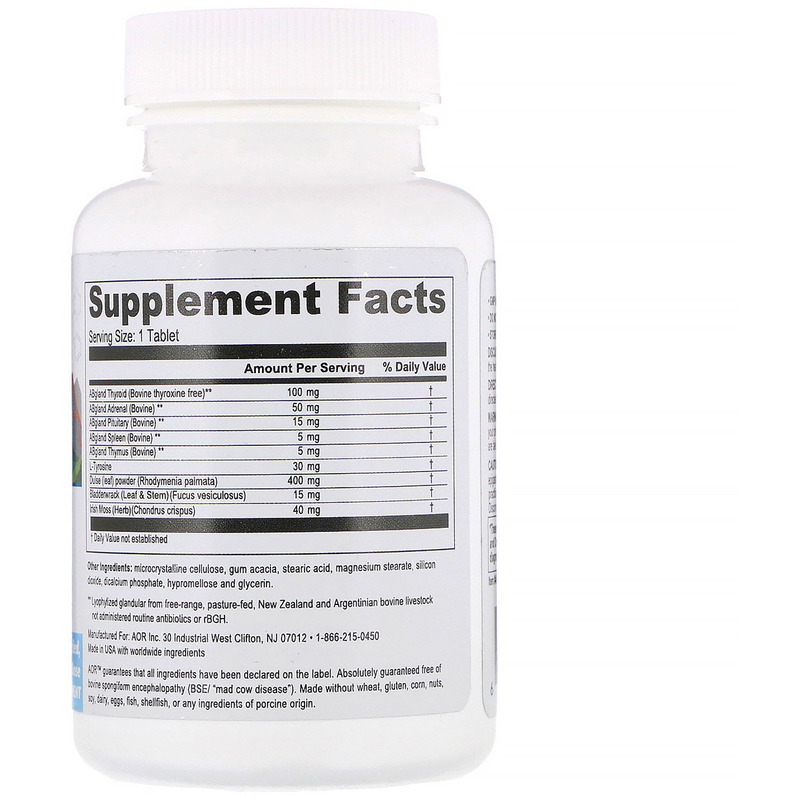 Take 1-2 tablets per day with food, or as directed by a qualified health care practitioner. Microcrystalline cellulose, gum acacia, stearic acid, magnesium stearate, silicon dioxide, dicalcium phosphate, hypromellose and glycerin. AOR guarantees that all ingredients have been declared on the label. Absolutely guaranteed free of bovine spongiform encephalopathy (BSE/"mad cow disease"). Made without wheat, gluten, corn, nuts, soy, dairy, eggs, shellfish, or any ingredients of porcine origin. Do not use if you are pregnant or lactating. Consult your physician before use if you have medical condition, or are taking any medication. Keep out of reach of children. Caution: May cause gastrointestinal disturbances such as epigastric burning sensation and nausea. Consult a health care practitioner prior to use if you are following a low protein diet. Discontinue use if rash develops. **Lyophylized glandular from free-range, pasture-fed, New Zealand and Argentinian bovine livestock not administered routine antibiotics or rBGH.